← Join Us for the Lead Off Breakfast! Please join us for our 2015-2016 Welcome Meeting scheduled for Tuesday, August 18, at 6:30 p.m. in the Chamblee Charter High School drama room. The drama room is located in the Fine Arts Building and is a couple doors down from the building’s main entrance accessible from the outdoor plaza which separates the Fine Arts/Gymnasium buildings from the Main Office building. 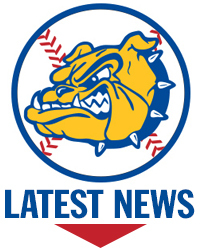 At our Welcome Meeting, Varsity Head Coach Brian Ely will review important high school baseball dates throughout the school year including winter workouts and conditioning and the Spring try out schedule. In addition, middle school baseball representative John Donegan will discuss important dates for the Fall and Spring CMS baseball seasons. The Chamblee Baseball Booster Club officers will also introduce themselves, review the activities and contributions of the booster club to the Chamblee baseball program over the past year, and request all prospective members to volunteer for one of the existing subcommittees for the 2015-2016 year. Thank you in advance for your interest in and support of Chamblee Baseball.